Curated by the Kunstverein Wolfsburg, a temporary club for electronic music and current art will be set up in the Upper Silesian city of Bytom. The six-week programme comprises workshops, a weekly newspaper, concerts, performances, exhibitions, film screenings, and video art. The programme is primarily geared towards a young audience. 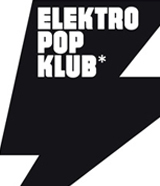 At the club, pop and youth culture intersect with established forms of cultural production. 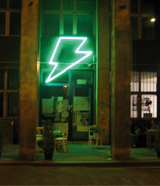 After Bytom, the club can be visited at Kunstverein Wolfsburg.